For all of the whining coming from the left and illegal immigrants themselves declaring that illegals in the United States only want to unlawfully invade our country to get jobs and take care of their families, a new study from the Center for Immigration Studies is shining the inconvenient spotlight of truth on the shameful lie. 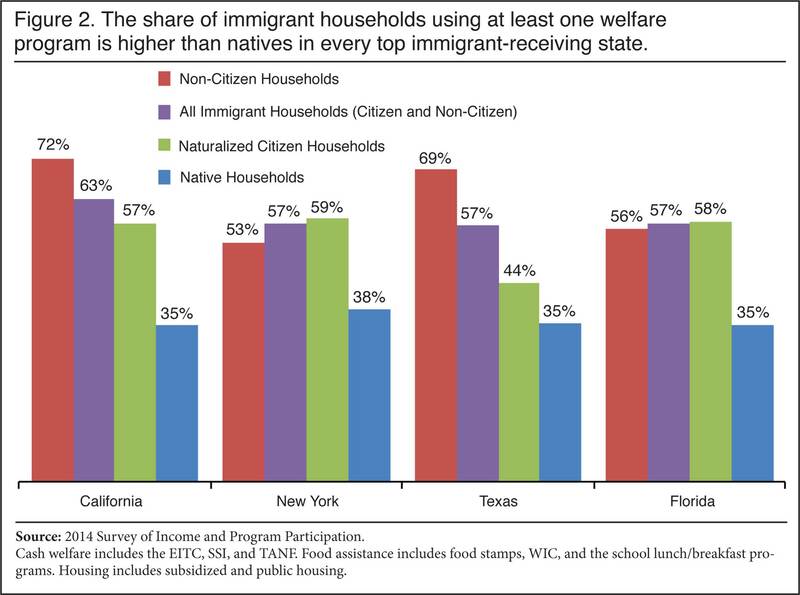 An astonishing 63% of non-citizen households in America are receiving at least one form of government assistance (welfare), and most are receiving multiple forms of welfare, including cash, food, Medicaid, and/or housing. 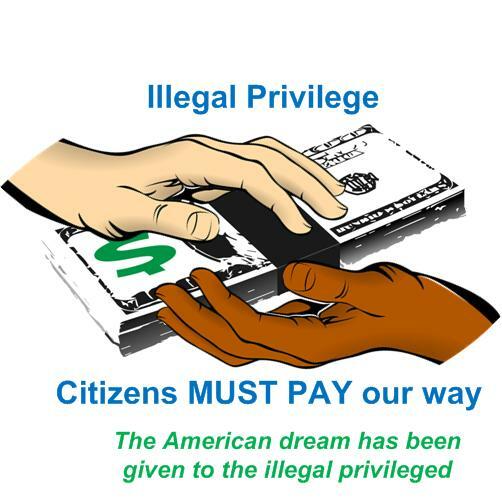 This study should end any debate as to why illegal immigrants are so desperate to come to the United States, foregoing the legal process in favor of entering illegally and signing up for freebies, paid for by the American taxpayer. 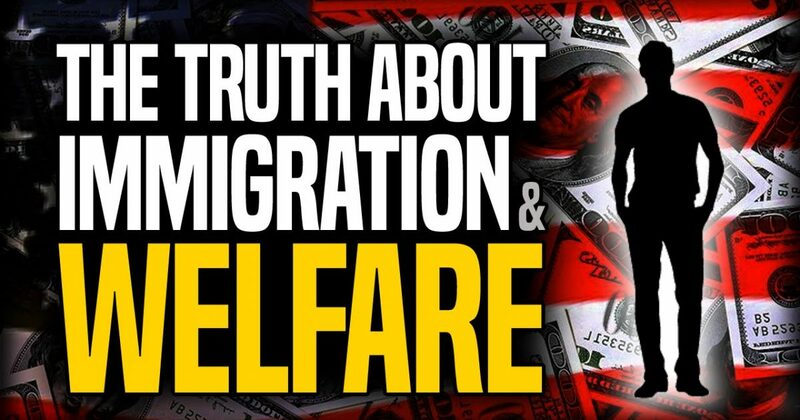 Following are the numbers of households receiving welfare, a staggering 72% of non-citizen households in California are on the taxpayer dole. No damned wonder they are invading our country. America is the big, stupid Santa Claus! 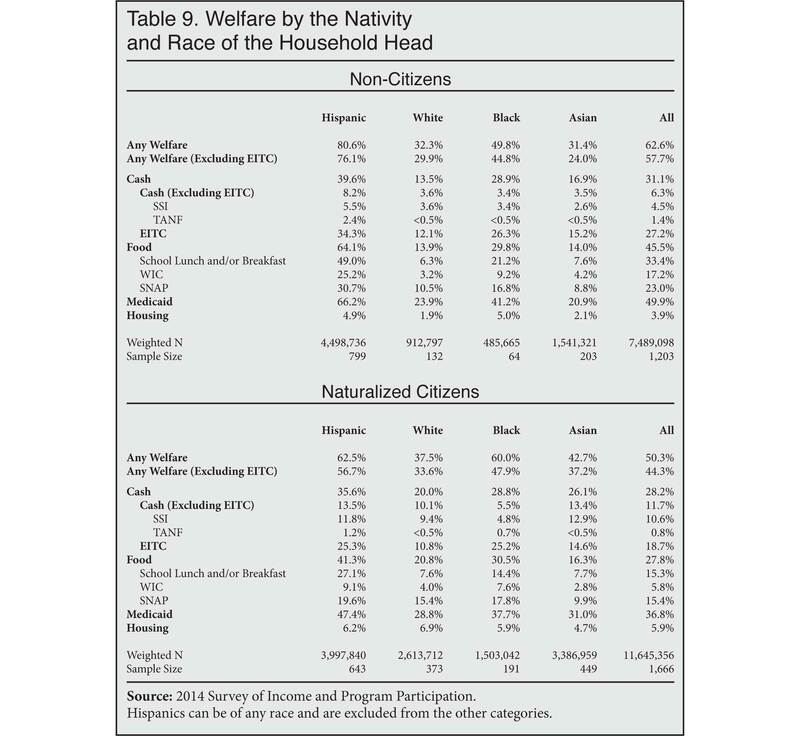 As expected (in the chart, below), Hispanics are the largest group of non-citizen welfare recipients at 80.6%, which leads me to question the accuracy of the reported figure of 11 million illegal immigrants in the United States. $20 billion for a border wall seems like a bargain now, doesn't it?